Diane was born into a multi-cultural family and has always had one foot in North America and the other in Asia. Her B.S. is in counseling, she is a certified English as Second Language (ESL) teacher and trainer, and is a certified English and Russian proficiency rater with the American Council for the Teaching of Foreign Languages (ACTFL). Diane is also the Founder and President of Bybella as a jeweler and metalsmith whose business helps to support orphans and street children in Uganda and the Philippines. Diane has worked helping to train and develop leaders and begin sustainable businesses in the countries of the Philippines, Russia, and Georgia. She uses her skills of teaching, counseling, training, management and administration, public speaking, language and culture course development, training facilitation, and strategic organizational design for life changing causes on 4 continents. Diane is passionate about helping children at risk and victims of poverty by providing them with support, training, and opportunities to empower them to create a better future for themselves. Diane and her visionary husband, Bryan, have worked together for causes like this their entire married life. They reside in Nashville, TN, when not traveling and have 2 daughters and 4 granddaughters. Bryan has spent three decades developing leaders, nonprofit organizations, and innovative companies on several continents. He has BS degrees in Linguistics and Education, and an MA in Sociology focused on Leadership & Organization Development. Bryan has also provided consulting and executive coaching to companies around the world, and trained executive leaders through L-evate. He is also a public speaker and has challenged people in 25 countries through his speaking. Bryan has written many published articles and a Life-Building Workbook entitled, "Make A Life". During the last three years, he has been working to connect social entrepreneurship with venture philanthropy through his company, Indigenous Economic Development Solutions Corp., to develop land and rainforest for sustainable economic & educational growth for indigenous peoples in the Philippines, believing that there are enough resources on our planet to conquer poverty and eliminate injustice. Seeing the plight of street children also motivated him to partner with a local team to begin I Love Street Children. Bryan is blessed beyond measure with a beautiful family and his lifelong partner and wife, Diane. Together, they have accepted the challenge of establishing Humanility, with the goal of bringing love, value and individual potential to those disenfranchised by poverty, slavery, and injustice. After spending much of her life living overseas in Asia and then in Europe, Joy Shaw settled in Nashville, TN, in 2002. As the mother of 3 amazing daughters, Joy credits motherhood with providing inspiration in the development of her career. She describes herself as being in the business of building families, which began in 2007, when she started working as a Childbirth Educator and Birth Facilitator. Over time, she has added Massage Therapy, Wellness and life coaching, as well as Postnatal Support to the services she is able to provide to her varied client base. Additionally, Joy stays creatively active. She performs regularly with a popular, local 80’s cover band (Guilty Pleasures) and does studio vocal and voice over work. Over the years, she has also had many opportunities to participate in providing humanitarian aid overseas, often in orphanages, in both Asia and Eastern Europe. Joy enjoys work that feels purposeful and thrives in her diversified life and work environment, especially when she is able to spend time doing things for which she has a passion. She is specifically looking forward to assisting Humanility's vital and meaningful endeavors, locally in Tennessee, to further the work and benefit to those overseas. Jim is the Managing Partner of Northeast Planning Corporation’s Philanthropic Division. Northeast Planning Corporation (NEPC) is the largest privately held financial planning firm in the state of New Jersey. NEPC is the Regional Support Firm for the March of Dimes and under Jim’s tutelage, they have identified and executed Major and Planned Gifts. For 25 years, Jim’s has worked with Closely Held Business Owners, Highly Compensated Executives and Affluent Retirees. His Comprehensive Financial Planning process includes Advanced Estate and Charitable Planning, Business Succession Planning and Tax Advantaged Retirement Accumulation and Distribution Strategies. Through Park Avenue Securities he is registered with the Securities Exchange Commission (SEC) and the Financial Industry Regulatory Authority (FINRA). He is also an Investment Advisor Representative (IAR) and a Registered Representative (RR). He holds the Series 6, 7, 63 & 66 licenses. In addition to having his Life and Health Insurance licenses, Jim has obtained the Chartered Advisor in Philanthropy (CAP) and the Certified Fundraising Executive (CFRE) designations. Jim is also the Founder and President of Planned Giving Consultants, LLC. His organization works with Local and Regional nonprofit organizations to help them build/enhance their Major and Planned Giving Program. He is a member of The Gift Planning Council of New Jersey (GPCNJ), the Partnership for Philanthropic Planning (PPP), the Estate & Financial Planning Council of Southern New Jersey (EFPCSNJ), the Association for Advanced Life Underwriting (AALU) and is the President of the NJ Southern Chapter of the Association of Fundraising Professionals (AFP). Jim is involved with many nonprofit and charitable organizations. In 2008, he was recognized as the New Jersey Volunteer of the Year for the March of Dimes. He has also volunteered for the Community Foundation of South Jersey, the American Heart Association, The Prostate Cancer Research Foundation and the Cancer Research Institute of New Jersey. On a personal note, Jim is a graduate of Central Michigan University. He received his B.A.A. while participating in the Honors Program, making the Dean’s list and lettering in their Division 1-A Mid-American Conference (MAC) Football Program. He enjoys travel, golf and has coached youth football, lacrosse, baseball and basketball in Washington Township, New Jersey, where he resides with his wife Tanya, daughter Katrina and son Jarrett. Global Information Technology executive with over 30+ years of experience in working with top leadership teams to transform IT operations to act as a business partner to all stakeholders. Expert in managing diverse international operations spanning the Americas, Europe and Asia Pacific. Experienced at transforming underperforming IT departments into high-performing IT organizations for Global Fortune 100 companies. Collaborative leader who creates engaged communications with all levels of the organization including executives, management, staff, vendors and customers. Known for motivating and leading global IT direct and indirect reports to meet rapidly changing business demands from both internal and external customers. Currently, serving as the President of DynaQuest Technology Services, Inc., a business process outsourcing (BPO) company based in the Philippines, helping drive the Philippines towards a digital future with inclusive growth through technology based social responsibility programs. Jerry Regan has been involved in helping promote “Life Changes” for those in his sphere of influence since his late teens. He and his family spent twenty years working cross culturally in the Philippine Islands, primarily amongst two indigenous people groups. The primary focus of his work consisted of training up leaders from within the people groups amongst whom he and his family lived. He assisted with the facilitation of a translation revision of the New Testament in a local dialect as well as providing daily medical care and introducing a new agricultural technique for farming on upland sloping farm lands. Jerry received his undergraduate degree from Union Theological Seminary, Manila and his MTS from Saint Meinrad School of Theology, St. Meinrad, Indiana. Jerry opened and operates his own business, Regan Decorating, in Nashville, TN. Jerry and Frances have three daughters, two sons in law and 5 grandchildren all living in the Nashville area. Jerry looks forward to bringing hope, comfort. and healing to all those Humanility seeks to help. Donna grew up in Randolph a small town in northern Ohio. In her high school yearbook she shared her desire to travel and work internationally. In 1980 following her love for travel, Donna moved to Dallas, Texas. Working independently in the fields of meeting and event planning, travel consultant and sales travel coordinator. Her life took an important change when she found Jesus Christ. From that time forward her heart ached for those who do not know Christ the way she has experienced. In 1993, Donna married Mike Neukum. She began leading mission teams to Balashov, Russia. This ministry began her desire to help people around the world. Donna’s position for 13 years as the Society of Petroleum Engineers Distinguished Lecturer Program Manager was a perfect fit to help fulfill her desire to travel internationally and learn about different cultures. This was accomplished as she was the liaison to the member-lead DL Committee that encompassed members worldwide, each year lead a new group of world renowned subject matter experts, and managed all their travel worldwide. SPE and her involvement with the ministry in Russia further opened her eyes toward different cultures and way of life. Over the years, God began drawing her toward children’s ministries and trafficked children. Now retired, Donna had the opportunity to visit the Humanility ministry in Manila and Bogo, Philippines. The plight of the millions of abandoned/abused children was overwhelming. Through Humanility she can be the arms to love on a few of these precious children. Allison lives in London, UK, working as a senior technical advisor for nuclear non-proliferation initiaves of the US Department of Energy in Europe, Africa and the Middle East. She is also an officer in the US Navy reserve and Merchant Marine. After graduating from the US Merchant Marine Academy, she earned a master’s of engineering from the Massachusetts Institute of Technology (MIT). She has been a member of the Junior League for over ten years, serving in leadership positions to address women’s poverty and literacy issues in her community. She is also actively involved in fundraising for Avon’s Breast Cancer charity, including participating in an annual 39.3 mile walk. Born in New Jersey, George has made a successful career of reinventing himself along parallel paths of medicine, regulatory insurance examinations, project management, computer networking, creation and performance of IT audit programs, graphical process flow analysis, public speaking, and on-site training. Whether engaged in professional or personal projects he is passionate about diversity and an expanding world view. He is an active martial artist with 2nd degree black belts both in Karate and Kung Fu. Shortly before George was contracted by a U.S. Department of Insurance to evaluate certain offshored Philippine operations he met Bryan Thomas who invited him to visit “I Love Street Children” in Manila and the CEPC home in Bogo City. George accepted but little realized how his heart would be quickened by the workers, families and children in those places and that all of his life skills would soon be interwoven with the cries of Filipino poverty as a tapestry of mission and calling emerged. When he returned to the US, he continued to work for Humanility becoming a member of the Board of Directors. 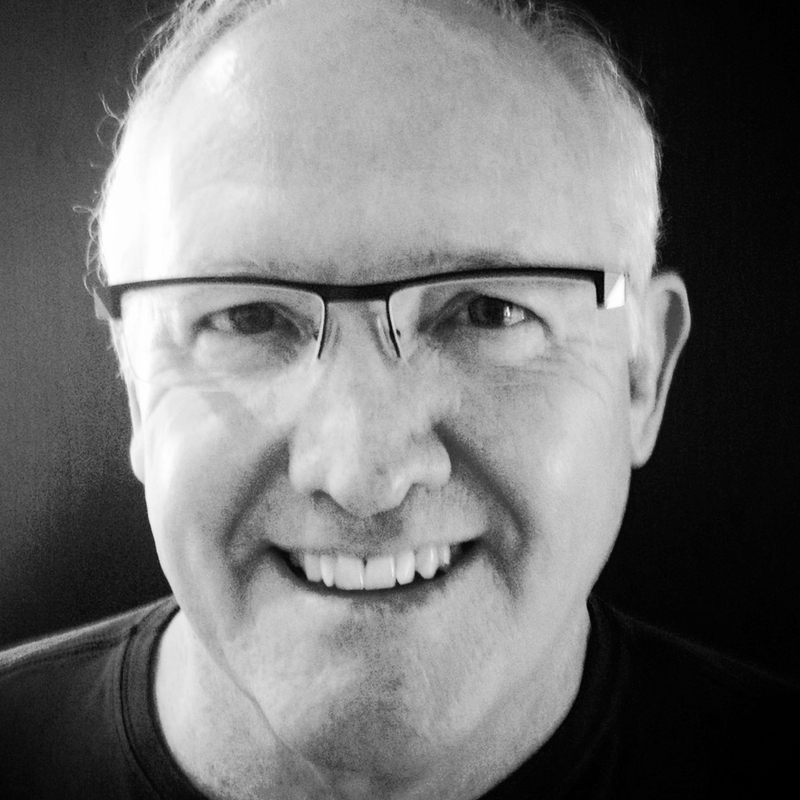 Paul was born in Remuera, New Zealand to an Australian mother and a US Army Officer. He grew up in Runnemede, New Jersey where his Dad operated a Furniture and Appliance store. As a teenager, he attained the rank of Eagle Scout at 14. His education took him to Texas where he studied Business Administration with a minor in Bible at Le Tourneau University, Longview, Texas. Bennett’s motivation for service grew out of a realization of God’s great love and mercy and God’s desire that all people would come to know Him. Bennett’s Christian Service has spanned over 50 years in missions, teaching, evangelism and youth work. He is currently a Discipleship and men’s Bible teacher at Second Baptist Church in Houston, Texas. Immediately after college graduation Mr. Bennett was drafted and attained the rank of Sergeant in the US Army. Following an honorable discharge, he joined the Ford Motor Company where he held a wide variety of management positions. Bennett’s 53 year professional life has been involved in the manufacture, distribution, racing, sales and repair of automobiles. He currently is a Director at Gulf States Toyota in Houston, Texas. Paul is excited about the opportunity to serve with Humanility and to offer safety, compassion and comfort to neglected, abused, unloved, and unrepresented children. He looks forward to utilizing his business skills to maximize the available resources to reach and effectively care for children at risk. Paul enjoys his two daughters, son in laws Erik and Jens, and grandson Bennett. 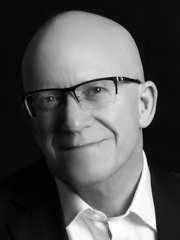 David has been in the branding, advertising and design industry for over 26 years, working with such notable Fortune 100 companies as Hewlett Packard, IBM, Sony, Pacific Bell and Sun Mircosystems. David's first design department, an internal design operation of California-based Professional Exhibits and Graphics, took the tradeshow display company from 1 million in yearly revenue to over 4 million in under two years. Since that time he has started two of his own agencies, the second of which generated over 3 million dollars in its first 24 months of operation. David specializes in brand strategy, and is able to develop branding, advertising and marketing/promotional material that is visually superior and demographically laser accurate through his proprietary Needs Based Analysis System. David is an expert in all print and digital formats. In addition to his artistic and professional skills, David is also an author, having released three books and speaks frequently on issues of faith and culture, worldview, and “Strategic Christianity.” David is currently shopping a screenplay and plans on developing a publishing company. Gerard was born and raised in Albertville, France, and holds a BA degree from the University of Montreal, and an MA degree in Special Education from the University of Nice, France. After teaching for years, he earned his pilot’s license and worked as a pilot and flight instructor for over ten years in the USA. After piloting a private jet, based in Hong Kong, around the world for 4 more years, he has settled back to life in France. During his time in Asia, he met Bryan and Diane, founders of Humanility and served with them in Typhoon relief work in Leyte and Samar. As a duel French/USA citizen, Gerard is in a great position to represent the work of Humanility in France. He is also an accomplished photographer, and Humanility looks forward to collaborating with him to capture the plight of the impoverished and our progress of empowering them on film. Vladimir and Zhenya grew up in Salehard, Russia, above the Arctic Circle, and after finishing the 5-year BLTC leadership institute in Krasnodar, they dedicated their lives to serving the ethnic peoples who live on the tundra above the Arctic Circle. The living conditions of the ethnic peoples on the tundra are so severe that the average life-span is 44, and many of the children are forced by the government to live in dormitories, where many are abused and damaged for life. Humanility is partnering with the Slinkins to begin child empowerment programs for these indigenous children. When they are not in the Arctic, they reside in Krasnodar, Russia, with their son, Ruslan. Jens Irion is a Principal in the London office of the Boston Consulting Group. He is a Core member of the Mining practice area with a focus on Operations & Strategy. Prior to joining BCG, Jens worked at Goldman Sachs and Booz & Company. Jens loves travelling with his wife Allison (both climbed Kilimanjaro and did the 3 peak challenge in the UK) and is excited in supporting Humanility's mission to provide food, shelter, education and love to unprivileged children in the Philippines. Tamazi and Marina’s story is incredible. They were born and raised in the Islamic area of the country of Georgia during communist times under the Soviet Union. Tamazi graduated from the best art academy in Tbilisi, and became a well-known painter and sculptor. After they tragically lost one of their children, they moved to Krasnodar, Russia to study and graduate from the BLTC leadership institute. In 2005, they returned to Batumi, Georgia, where they live and serve, developing Georgian leaders and serving the Georgian people who have suffered through war, poverty, and great social upheaval and change. Humanility plans to begin projects in Georgia in the future, and partner with Tamazi and Marina and their team. Ekaterina (Katya) spent most of her life in Krasnodar, Russia, and completed her degree from Kuban State University in Teaching Russian as a Second Language, and is a certified translator. 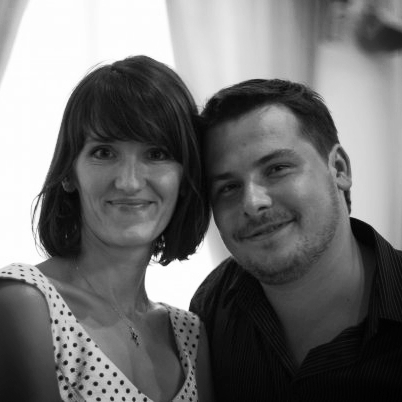 After working with Diane and Bryan, founders of Humanility, to establish a Russian language school in Krasnodar, and as a translator for the BLTC Leadership Institute, she married Alexey (Lyosha) Burtseva, a history teacher from Astrakhan, Russia, who also graduated from the BLTC Leadership Institute. They now live in Boston, USA, and Humanility looks to them for the development of an international Russian community to help sponsor children and support the work of humanility around the world. Lauren is a lawyer from England who is currently working in house at a bank in Singapore, having resided there for the last three years. Lauren went to Bogo City, Cebu, Philippines, in 2013 to help rebuild schools in the wake of Typhoon Haiyan. Whilst there she met many of the children now residing at the Lighthouse, whilst they were still living on the streets. Lauren tries to visit the Lighthouse two or three times a year. Gail, born and raised in the Philippines, has been exposed to extreme poverty while growing up, this is because her Alma Mater, St Scholastica’s College Manila, always engage their students and encourage them to take a stand in political, social and economical issues. As early as third grade, Gail has fed and interacted with very poor Aetas ( an indigenous group from Northern Philippines ). In 7th grade their graduating batch would always visit Sta. Elena in Tondo Manila for outreach activities. In High School, they have actually gone up Smokey Mountain for a full day of immersion with the very poor people who inhabit the place. ( Smokey Mountain is a huge Mountain of Garbage and would emit smoke because of the poisonous gas coming from the trash ). She would also go to the Apelo Cruz Community in Pasay during weekends for outreach activities. In College she was Vice President-External for Rotaract Club and was instrumental in leading her organization to various Orphanages and Shelters for inter action and gift giving. Since 2013 Gail has been active in activities for the I love the Street Children Kids, such as partnering with BPO companies to sponsor a child during Christmas and grant their 3 wishes each year. She is very instrumental in providing links and network, for the Humanility group to get to know key individuals in the Philippines to help and partner with the foundation. Gail is happily married with 3 kids, who are also actively involved and drawn towards helping the kids of the Shelter. Her kids are actually friends with each and every child, and they would consciously save money or their nicest clothes and toys to be able to share with the Makati Shelter kids.